20 Apr 2017 Washington, D.C.
WASHINGTON, D.C. — President Donald Trump responded during a joint press conference with Italian Prime Minister Paolo Gentiloni to a question on the shooting of a police officer in Paris on Thursday. We have to be strong, we have to be vigilant, the President resolved. Un individu, en véhicule, aurait fait feu sur une voiture de police à l'arrêt à un feu rouge abattant un policier. “Allow me to join the President in his words of condolences,” the Italian Prime Minister followed. “This is a very delicate period for [France]” just days before the country’s presidential election. 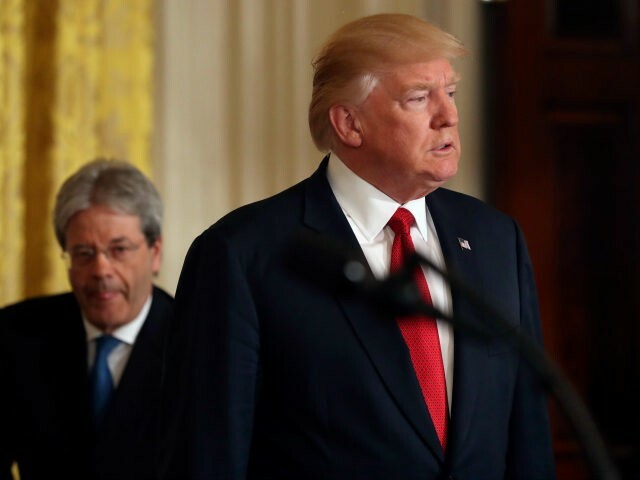 Earlier in the press conference, Trump stated that Italy has been a key partner in the fight against terrorism. President Trump thanked the Prime Minister for their assistance with Libya and for keeping the Islamic State from gaining a foothold. Gentiloni also spoke earlier in the press conference, translated from Italian, affirming his country’s commitment against terrorism.